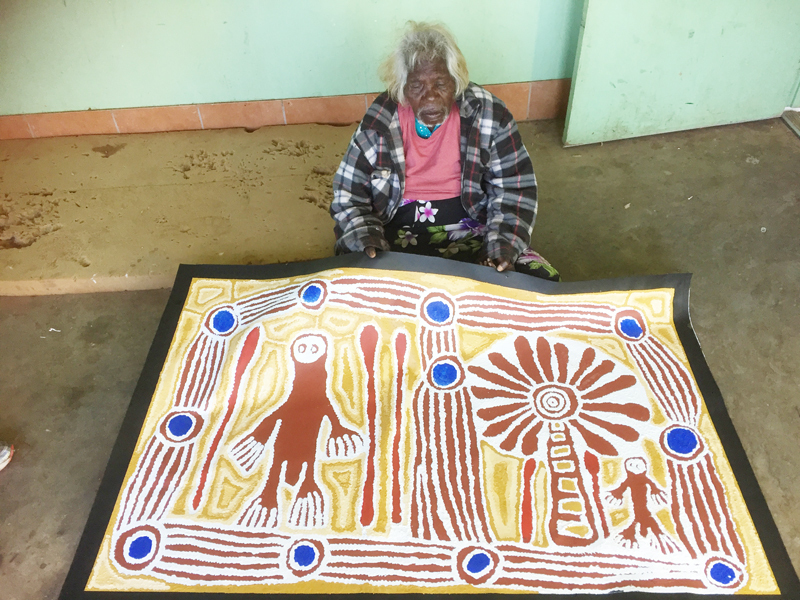 Linda has painted the story that was handed down to her by her father. 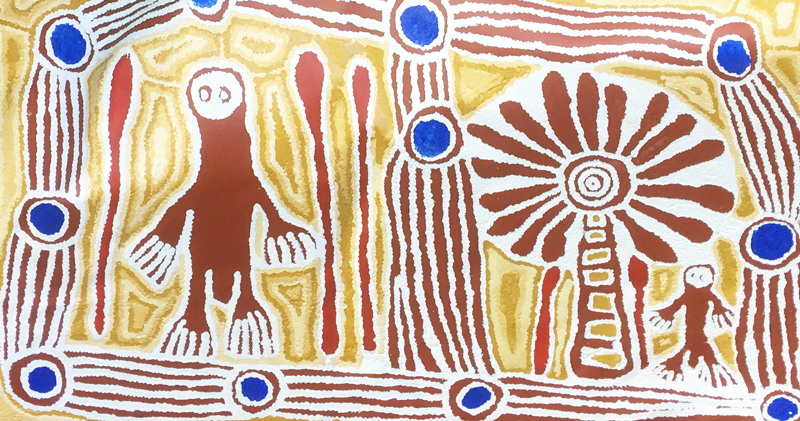 The Windmill represents the gathering of spiritual men from the sky that come down and use the sacred waters, and keep the lands/country sacred. 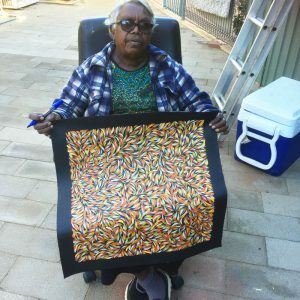 Linda Yunkata Syddick Napaltjarri (born c. 1937) is a Pintupi- and Pitjantjatjara- speaking Indigenous artist from Australia’s Western Desert region. 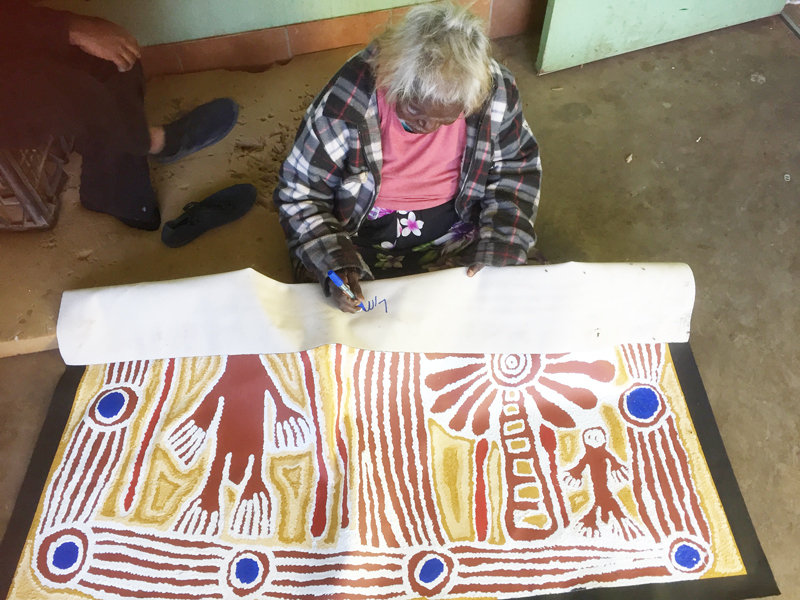 Her father was killed when she was young; her mother later married Shorty Lungkarta Tjungarrayi, an artist whose work was a significant influence on Linda Syddick’s painting. 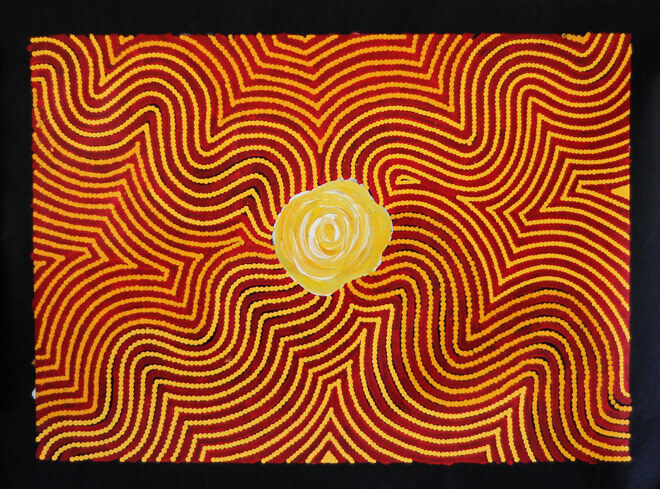 Linda Syddick was one of many Western Desert women who took up painting in the early 1990s, as part of a broader contemporary Indigenous Australian art movement. 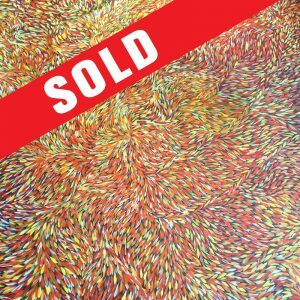 She began painting some time prior to 1991, when her work was first exhibited in Alice Springs. 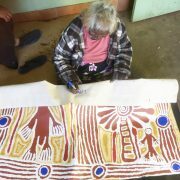 Her work includes a distinctive fusion of Christian and Aboriginal traditional themes and motifs. 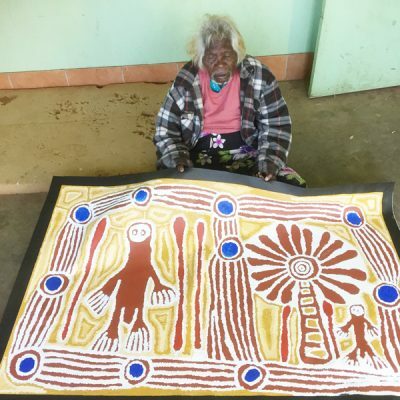 She has been a finalist in the National Aboriginal & Torres Strait Islander Art Awards on at least four occasions, and in the Blake Prize (a religious art competition) at least three times. 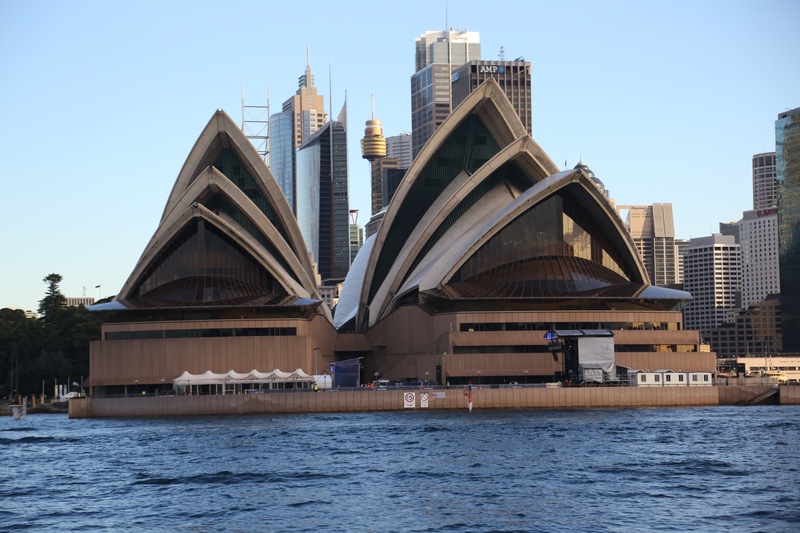 Her works are held by numerous galleries including the National Gallery of Australia, the Art Gallery of New South Wales and the Art Gallery of South Australia. 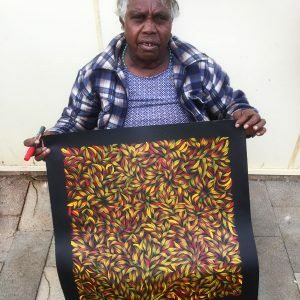 Linda Syddick was the subject of a portrait painted by Robert Hannaford, which was a 1992 finalist in Australia’s premiere portrait competition, the Archibald Prize. 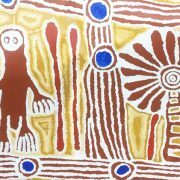 Thanks to Andrew Langford for the music track "Todd River" from the album "The Didgeridoo Show Outback"